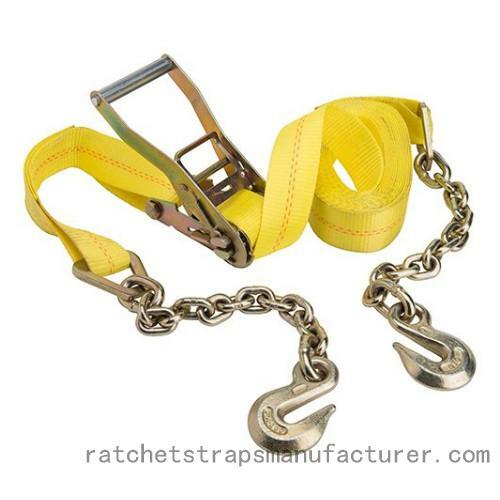 When it comes to the ratchet strap, it has the two ends such as adjustable end and fixed end. The fixed end in the ratchet strap is basically not adjustable but probably shorter in terms of length. It also serves as an anchor point for while the ratcheting motion of buckle pulls loose in another adjustable end. The fixed end contains a hook, a buckle and also nylon webbing. The kind of fitting or hook can vary according to the application. When considering the adjustable end of the ratchet strap, it is usually somewhat longer in its length and also supplies into the mandrel part of the buckle.